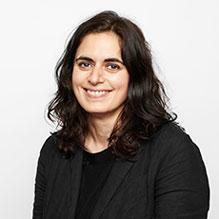 Dr Lisa Rajan is a highly experienced Clinical Psychologist with over 12 years’ experience in the NHS. She has a Doctorate in Clinical Psychology, an MSc in Medical Anthropology, a Post Graduate Diploma in Cognitive Behavioural Therapy, and is chartered with the British Psychological Society as well as a registered member of the Health & Care Professions Council. In her clinical experience Dr Rajan has treated a wide range of psychological problems including psychosis, anxiety, depression, personality problems, adjustment issues, low self-esteem and bi-polar. She has a breadth of clinical experience from acute to chronic and mild to severe presentations and has worked across a range of settings including community and in-patient services. Dr Rajan is an integrative practitioner and draws upon cognitive behavioural approaches, compassion focused therapy and acceptance and commitment therapy. She is non-judgemental and relates well to her clients. By seeing things from her patients point of view Lisa is able to develop a treatment plan suited to individual goals and values and aims to empower her clients with the techniques to promote future self-management. Lisa comes to us with glowing endorsements from colleagues, and we’re delighted to be able to refer our clients to such an experienced and capable psychologist. You don't need a GP referral to see Dr Lisa Rajan.